More and more people are planning Big Island vacations. Visitors love the island for its varied landscapes, white, black and green beaches, volcanoes and national parks. Not surprisingly, the Big Island of Hawaii is an alluring place of unique beauty and mystery. A side note might be appropriate here. Some are now referring to the largest island in the Hawaiian Islands as Hawaii Island. But most locals still call it the Big Island, because it is just that. Using the term the “Big Island” helps to avoid confusion because the island shares the same name as the State. 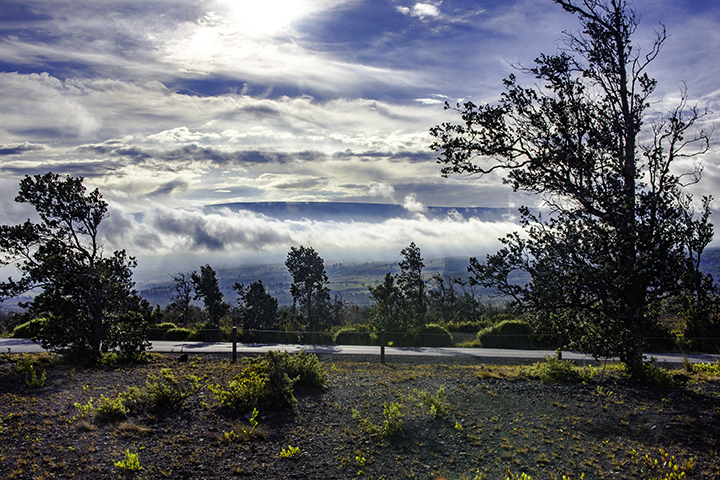 View of Mauna Loa from Hawaii Volcanoes National Park and one of the things to see on Big Island vacations. The Big Island has unique green sand beaches made of olivine crystals formed from volcanic eruptions on Mauna Loa thousands of years ago. They are popular attractions for vacationers traveling to the Big Island. Unknown to many, there is snow on the Big island of Hawaii. The almost 14,000-foot Mauna Kea is occasionally snow-capped in the winter. Additionally, star-gazing at Mauna Kea is a popular activity for couples on honeymoon or families who enjoy astronomy. The Big Island is both the youngest and most expansive of all the Hawaiian Islands, measuring 4,038 square miles. The Big Island is the only island in Hawaii with two major commercial airports. One is in the town of Hilo. While the other is in Kailua-Kona. The Big Island has one of the oldest and largest cattle ranches in the US, the Parker Ranch. It was the Spanish vaqueros who taught John Parker’s employees the art of horse riding and cattle ranching in the early 1800s. As a result, some say Hawaii had a cowboy tradition well before it was established in the American West. The island of Hawaii was home to King Kamehameha, the monarch who unified the Hawaiian Islands under his sovereign rule. Pu’uhonua O Hōnaunau National Historical Park, a popular place to visit on Big Island vacations. 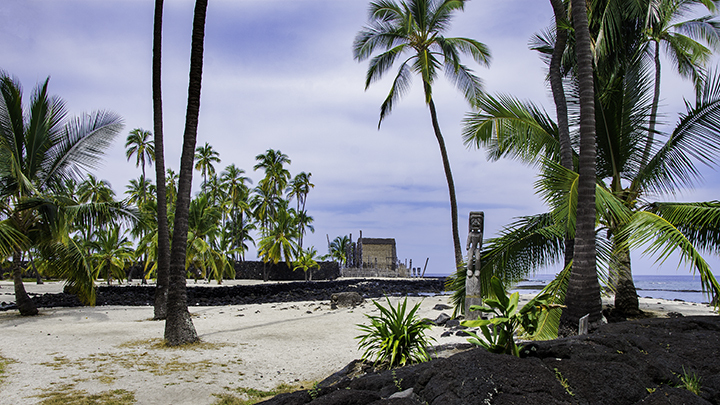 The Pu’uhonua O Hōnaunau National Historical Park, preserves an ancient and important Hawaiian heiau (temple) and cultural site. It is located near Kealakekua Bay on the western side of the Big Island covering over 400 acres. The park includes beautiful white beaches and historic structures and artifacts. The town of Kailua-Kona, located on the west side of the island, plays host to a world famous Ironman World Championship. The event is held every year during the month of September. Kilauea Volcano, quite possibly the best thing to see on Big Island vacations. Kilauea is reputed to be the world’s most active volcano and has been erupting continuously for over 30 years. Amazingly, it is expelling between 250,000 to 650,000 cubic yards of lava each day. The effects of this long-enduring eruption have added around 500 new acres of land to the island. That kind of lava mass is enough to coat the entire island of Oahu with almost 10 feet of lava. The “Big Island” is well named because it is continuously growing from the ongoing eruptions from Kilauea. Traveling to Hawaii would be incomplete without witnessing some of fiery expansion that occurs on the Big Island daily. There are five different mountains of volcanic origin on the island. Kilauea is one of world’s most active volcanoes. Because of this, it is one of the most popular tourist attractions on the Big Island. Kilauea is part of Hawaii Volcanoes National Park which is open 24 hours a day, year round. 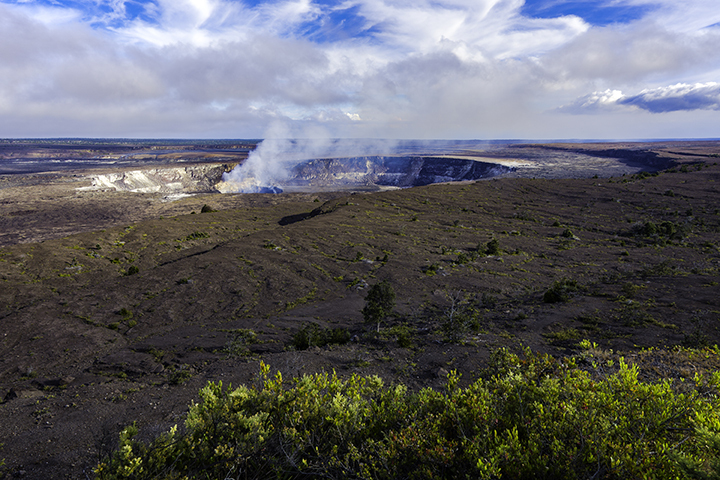 At the Kilauea Visitor Center, visitors can take tours to get closer views at the active volcano. For those who prefer to keep a safe distance, they can visit the Volcano Art Gallery near the visitor center. For the daring, helicopter tours may the best way to see the volcano and its active lava flows. The Hawaiian Islands are part of an underwater mountain range called the Hawaiian-Emperor Seamount Chain. The highest peak on this chain is Mauna Kea on the Big Island. If measured from the base of the sea bed, it would be the highest mountain in the world. And it would even surpass Mt. Everest in the Himalayas. Visitors can even explore the Big Island’s underwater environment on the Atlantis Submarine Tour off the Kona Coast. 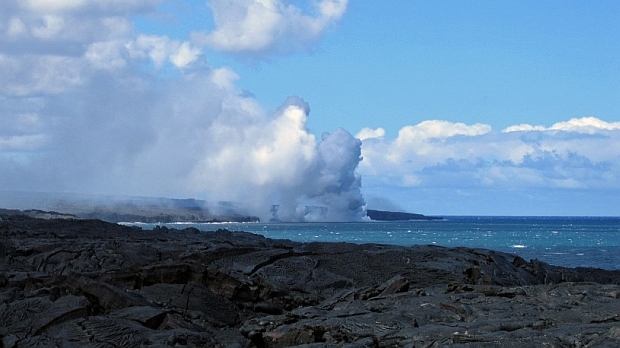 There is a new volcanic island being formed off the Big Island’s southeastern coast, called Loihi. Loihi is expected to rise above the surface of the ocean somewhere within 10,000 to 100,000 years. You can see a number of stunningly beautiful waterfalls on the east side of the island. Rainbow Falls is popular attraction. 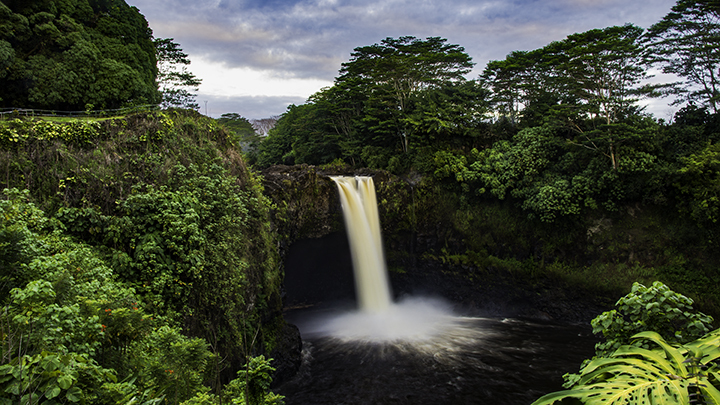 It is an easy waterfall to find near the town of Hilo. 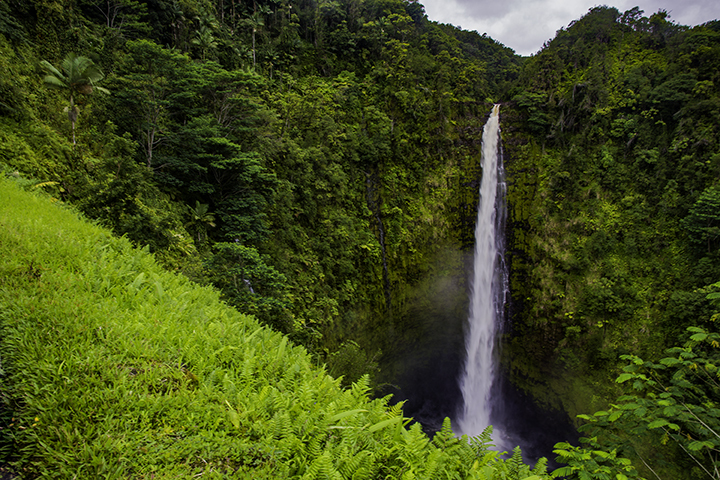 Driving north of Hilo along the Hamakua Coast, you can find Akaka Falls on short hike on a paved trail. Also, there are also a number of tall and steep waterfalls in mysterious and secluded Waipio Valley. But you can only get there by driving an SUV. This is because the road down to the valley may be the steepest in the world. Snorkeling or scuba diving in Kona provides stunning views of Hawaiian ocean life. Here, one can often see a honu, the beloved Hawaiian green sea turtle. Papakolea Green Sand Beach. Photo by Edward Hon. 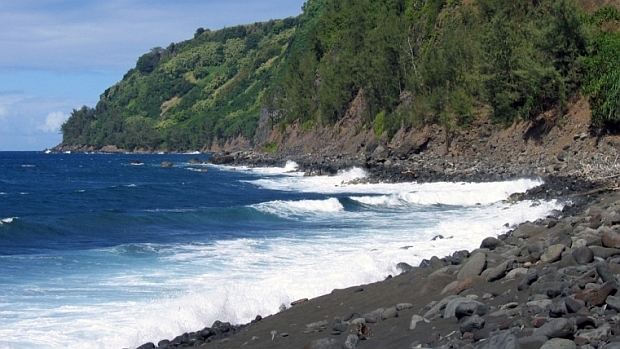 Papakōlea Beach is still one of the most unique beaches for vacationers on the Big Island. What makes it remarkable is its olivine mineral green sand beach. It sparkles in the sunlight and provides the perfect resting point after a rigorous hike. This emerald colored beach is something you won’t want to miss. Manta ray tours and night swims are one of the top ten things to do in a lifetime. So says the Travel Channel. Along the Kohala Coast, visitors see manta rays ranging up to 1,500 pounds with wingspans of up to 16 feet. You can take two types of tours. Visitors can book a guided boat tour, some of which allow swimming with the manta rays. Or they can arrange to watch them feed near shore at The Sheraton Kona Resort and Spa at Keauhou Bay. Lava flowing into the sea at Hawaii Volcanoes National Park. You haven’t enjoyed Hawaii fully unless you have eaten some fresh locally-grown macadamia nuts. These are a famous and delicious Hawaiian treat. Additionally, many Big Island macadamia plantations make the very popular macadamia nut candy and the macadamia nut cookie. Some macadamia nut candies come with chocolate made from locally grown cacao. Macadamia nuts, candies and cookies are a favorite treat of locals and tourists alike. And they certainly are good gifts to bring back to friends and relatives back home. Visit the famous Farmer’s Market at Hilo. Doing so will allow you to view and try delicious and fresh locally-grown produce. Find out more on our Culinary Tours page. Kona coffee is one of the most exclusive types of coffee on earth. And because of this, the Big Island is a great place for coffee lovers. 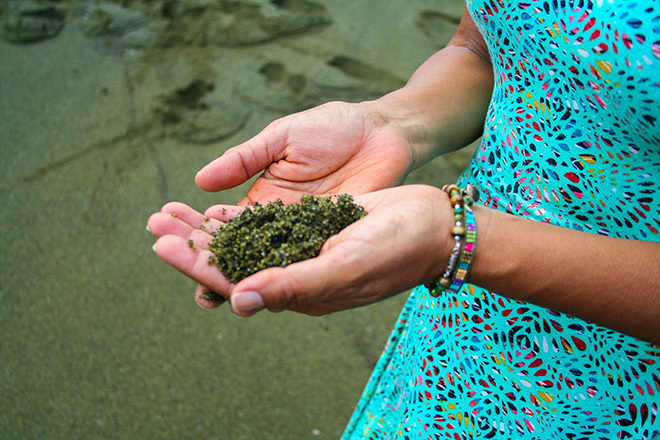 Here, you can delve into the island’s style of harvesting and roasting beans. Because of the hilly terrain, farmers often pick Kona coffee beans by hand. A few of the remarkable plantations are: Hula Daddy Kona Coffee, Mountain Thunder Coffee Plantation and Greenwell Farms. Hawaii also has micro-breweries for those who like enjoy locally crafted beer. Some popular brands like Big Island Brewhaus, Kona Brewing Company and Mehana Brewing Company. Such companies sell their products at bars, resturants and markets state-wide. Panda Travel ® offers affordable packages for Big Island vacations. Let us help you make all the arrangements, with all-inclusive travel packages and activities, including your flight and hotel. We can even give you ideas of fun local things to do in Hawaii, wherever you are staying. Start with our Hawaii Travel Tips page to make sure you are prepared for your journey to paradise. We want your vacation to be as memorable and stress-free as possible. So if you have questions or need assistance, please contact us toll-free at (800) 303-6702.